COBB COUNTY, Ga. -- It's been nearly one year since a gunman stormed a Kennesaw FedEx facility, shooting six people before killing himself. One of the victims, 29-year-old security guard Christopher Sparkman, was struck in the abdomen. He has undergone more than 30 surgeries and continues to struggle both physically and financially. Jamie Lynn, Sparkman's wife, quit her job to care for him and has spoken publicly of the need for money. On Wednesday, Apr. 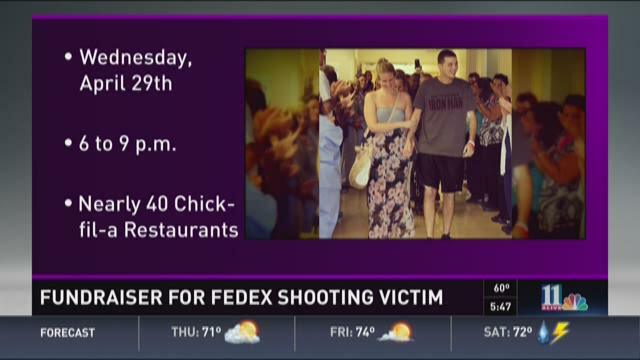 29, the anniversary of the shooting, nearly 40 Georgia Chick-fil-A restaurants will hold a fundraiser for the Sparkman family. 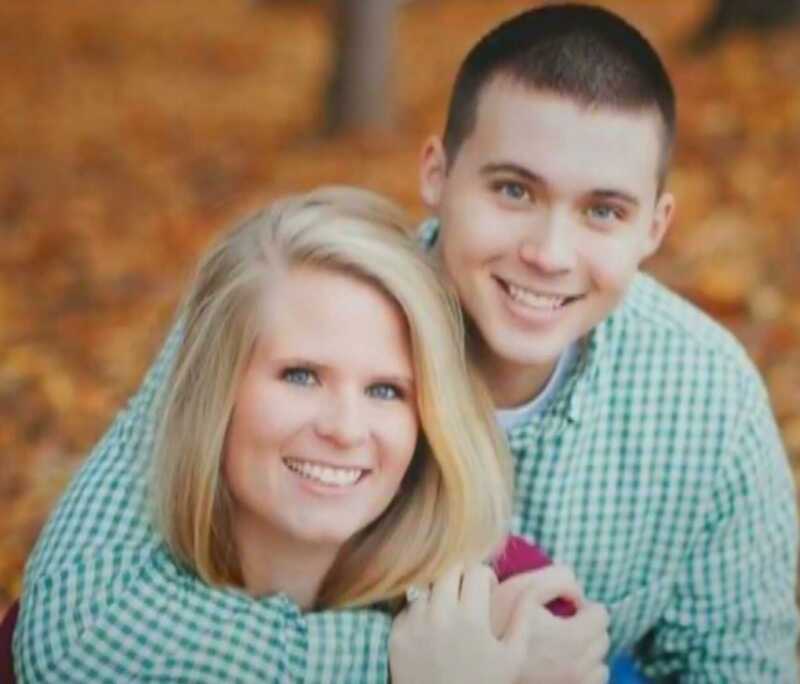 From 6 p.m. to 9 p.m., participating locations will donate at least 10 percent of sales to Chris and Jamie Lynn Sparkman. "Christopher's story is one of pure inspiration and courage," Zach Thomas, franchise operator at the Macland Crossing Chick-fil-A in Cobb County, said in a statement. "It's a testament of this community's support that so many people have come forward looking to help." Chick-fil-As in Bartow, Carroll, Cherokee, Cobb, Douglas and Paulding counties will join the Macland Crossing restaurant in collecting money for Sparkman. Mellow Mushroom and T.MAC have hosted similar fundraisers; FedEx is also exploring ways to help the family.